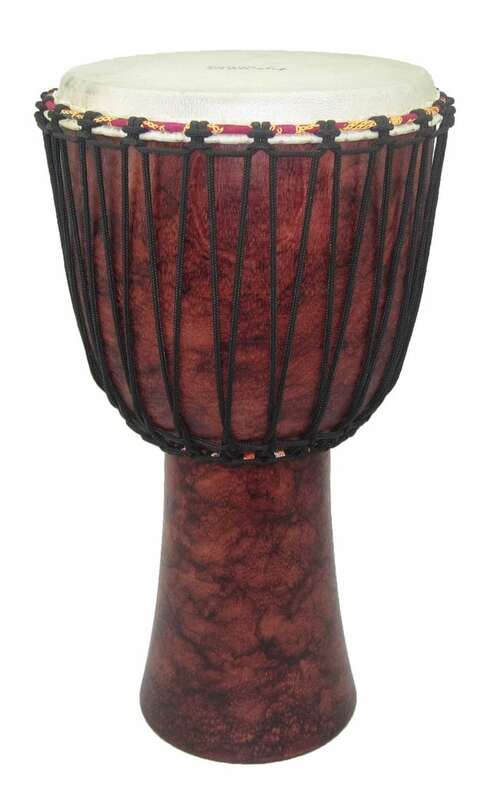 This djembe features an eco-friendly and tonally superior Mango Wood shell found in Northern Thailand. Each drum is outiffed with a distinct handcrafted finish. Features deep, loud bass tones and high, sharp slap tones. 5mm extra strong non-stretch rope for easy and lasting tuning.